In a beautiful plantation with nice houses and view enjoy a game of golf. The course field is in a great shape and well manage. You will have a good experience at IOI Golf Club located at Bahau. The course is challenging and very well laid out. You will have a great time there. Golf is one of the few ball games that do not require a standardized playing area. Bukit Penarikan is a well-known site among paragliders, some claimed that it’s the best site in the country for paragliding. It is an easy drive with many sights of beautiful traditional kampung houses that would be perfect for photography. Paragliding is the closest humans can get to the feeling of flying like a bird. It is a fun, safe way to experience flight in its simplest form. If you happen to be a person who loves Mother Nature, there is one place recommended to visit. The Ulu Bendul Recreational Park is a place where you can relax yourself, along with your family, while listening to the breeze of the wind when you immerse yourself with the peaceful atmosphere in the park. It is situated at the foot of the Gunung Angsi. It is a well maintained park with all facilities, like shelters, chalets, food stalls. 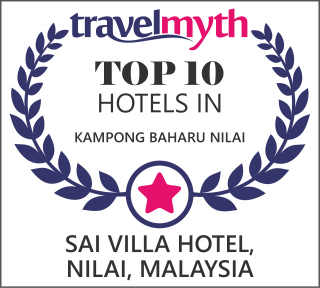 The palace is situated in an old royal town of the state of Negeri Sembilan. The building itself is made out of wood and attached together without the use of any single nails. A beautiful landscape to enter the palace and a long walk from the gate to the main entrance. The museum contains a lot of information on the history and culture of the area through its display of many objects related to the royal household.